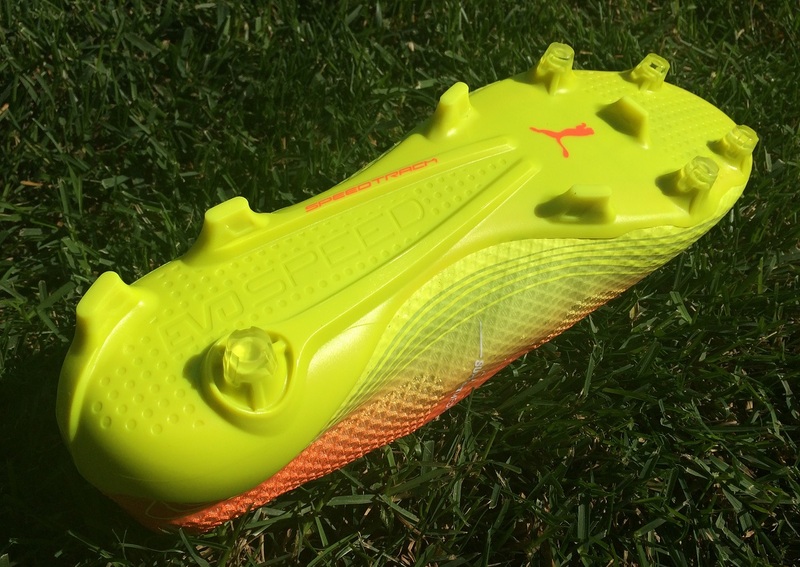 Puma has added some “fresh” updated looks to their boot silo with the same name – the evoSPEED Fresh. 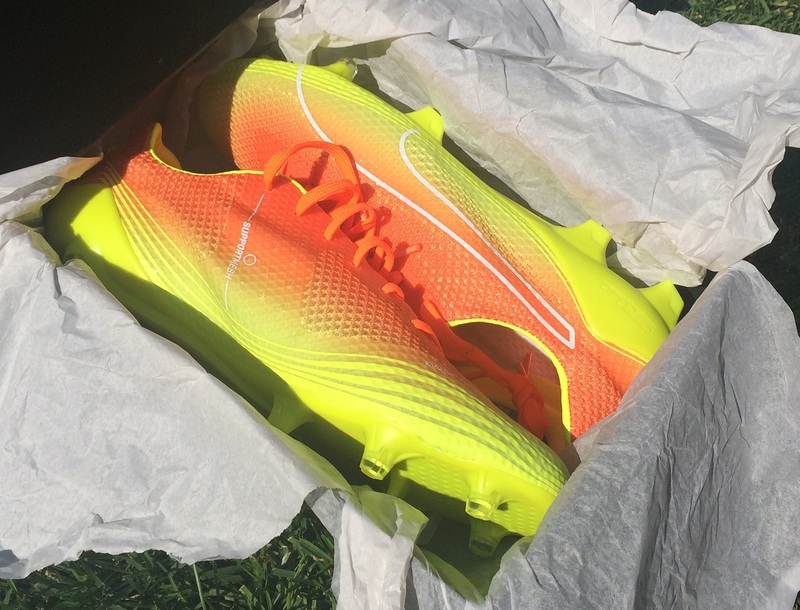 Some of you might not even know about the super lightweight, 4.1oz speed boot that Puma added to the evoSPEED series earlier in the summer. Built using an extremely breathable mesh upper, they have a direct focus on allowing heat to escape as you play in hot weather conditions. There are two new colorways on offer, a Puma Black/Red Blast that we will cover later, and this sunset inspired Shocking Orange/Safely Yellow. It offers an unmistakable look that matches the unique nature of the release. The opportunity to test Puma’s first mesh soccer boot out is definitely something I was excited for, especially to see how they matched up against Nike and adidas offerings. Would I recommend them as a boot designed for a full season of play? Probably not. But they have a lot to offer and are a boot that a lot of you will enjoy, as you’ll find out below. The introductory release in the series hit the market just before the start of this summer. We received a pair at that point, but they were in a larger size than I normally wear. So, I’ve had some up close experience with the silo. They really are an incredible boot that are so pliable and offer complete movement in all directions. Given their lightweight nature and the fact Puma attribute them as being a boot suitable for use in hot conditions, I’ve been excited to test them since. The visual design Puma has come up with is pretty wild, yet it suits the silo so well. Durability is a key area I want to find out more about, and how the entire construction of the boot holds up in play. So, lets talk mesh for a second, and exactly how the upper is constructed. There are technically 3 layers to these. First on top of your boot is a super thin textile. On top of that is the mesh material that covers the entire upper, and then you get the reinforced coating. This coating is called the SUPPORTMESH, and it covers key areas of the upper including across the toes and through the instep. It plays a very important role in enhancing the durability of the micro thin material, holding the shape of the boots in place. Through wear, they never lost their shape so this is an element that does works effectively. It does create a slight crease on the instep when you take the boots off, which creates a slightly unique appearance, but when you slip them and the boot mimics your foot shape, it disappears. In general, the feel throughout the upper is incredibly pliable and that plays into the super lightweight focus of the silo. How Do They Feel Striking Shots? Being that they feature a mesh upper, don’t expect them to be an ideal shooting boot! You really do feel the full impact of the ball as you strike, and that is not a comfortable feeling if you are using a heavy ball. So, if you are after a power style boot, you should look elsewhere. The purpose of the silo is to provide extreme lightweight performance that is breathable, something they do very well. 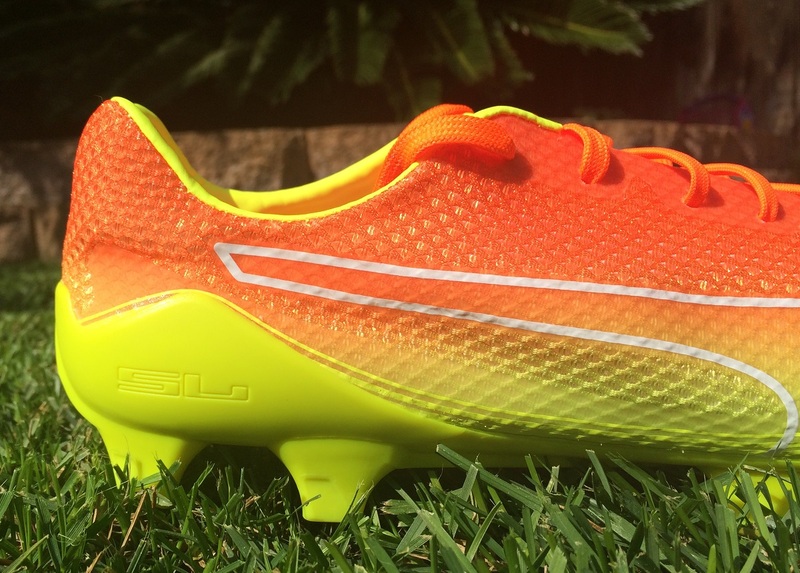 Are they a boot ideal for attacking style players? That is done to what you are expecting. I wouldn’t eliminate them as an option as they offer a weightless feel and dynamic movement, but they won’t help you out when striking shots from 30 yards out. An area that has caused confusion and is important to cover is “where are they are designed for use?” You will need to stick to FG surfaces while wearing them – so use on turf is completely out of the question. From experience, we can tell you that if you do decide to wear them on hot turf, expect the upper and soleplate to separate! They do come with a “90-day footwear guarantee” but don’t expect that to extend to use on TF when they come with an advanced warning. So, you need to pretty particular with where you will use them. On FG, they hold up decently well and the general construction is pretty durable through extended play. Still, I wouldn’t recommend them as a season long boot, they are more like a half season boot. Turn them over and you will find the same soleplate that is found on the entire current evoSPEED series, including the recently released evoSPEED SL-S and evoSPEED SL K. It is flexible enough to actually bend in pretty much any obscure direction, while also featuring some pretty unique design elements. For example, on the heel you will find a tri-stud configuration, with a conical sitting on the inner side and two blades running along the outer edge. The single conical stud features a unique depth profile, with an inside groove surrounding its position. The concept of this style is to reduce material without affecting overall traction. In play, they are very dynamic and allow for super quick movements and directional change. The entire system seems to release from the surface very quickly, with little to no noticeable drag. Of note, the tri-stud configuration on the heel does create a unique feel when you slip them on for the first time, but as you wear them and start to move at speed it is not as noticeable. Surprisingly, these have a very generously accommodating fit, with the mesh upper providing some additional stretch as you wear them. In saying that, I wouldn’t recommend placing too much pressure on the upper as I feel like it will reduce the durability of the upper, as well as leaving your foot in a precarious position against opposing player’s studs. In general, I’d recommend them as a medium/wide foot fit. Plain and simple; this is a boot that doesn’t provide much protection to players in-game. Your foot is exposed to opposing challenges, especially when you play against players that like to leave their studs in challenges. If you can get past that aspect of the release, and accept them for what they are – something extraordinarily different – then they are worth checking out. I’m seriously interested to know how many of you have heard about this release and know what they are all about! Or have any of you guys already had the opportunity to test a pair? 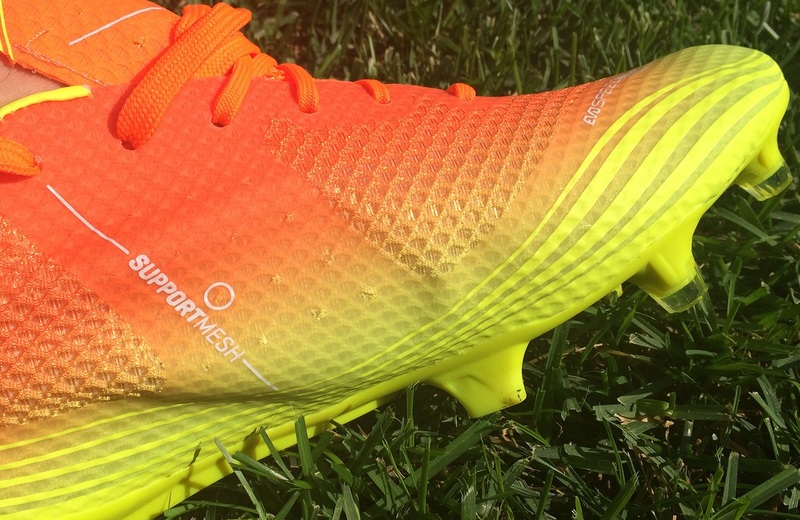 Just to finish out, this is not a boot that you are likely to see any professional players wearing, so there is somewhat of a novelty to the release. And don’t expect to see much in the way of advertising. For some, that might be a positive as they are picking up a pair of boots that not many other players will be wearing. But it also means less feedback and information available on the silo. 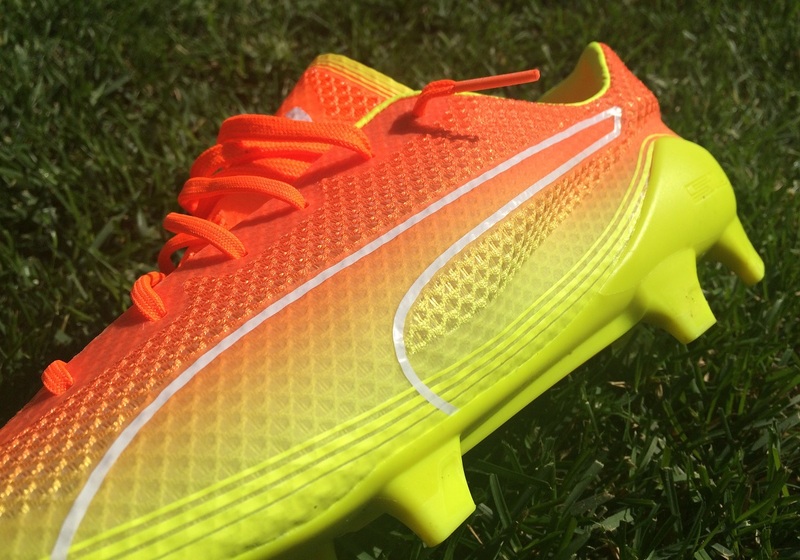 The evoSPEED Fresh in Shocking Yellow is available at soccer.com. 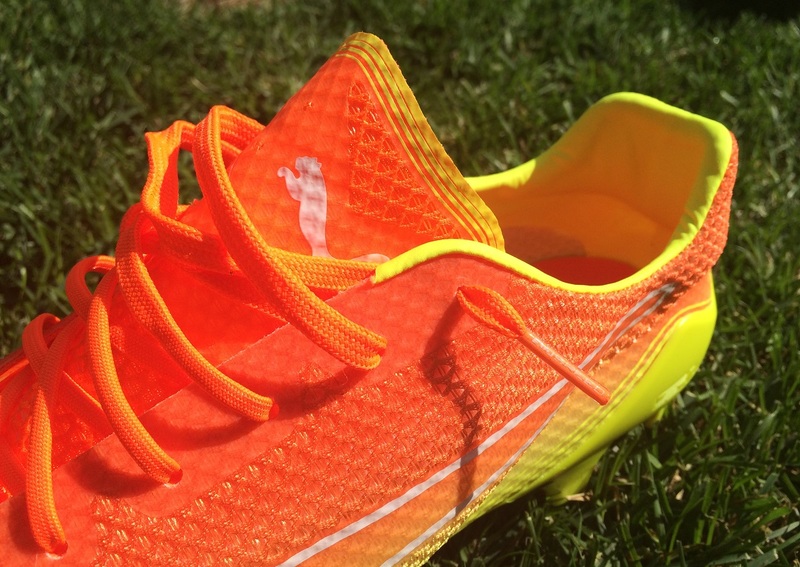 Highlight: Puma’s first soccer boot to feature a mesh upper, intended to provide a super lightweight feel and breathability for use in hot playing conditions. Weight: One of the lightest on the market at 4.1oz. Would I Buy Them: You might be surprised to hear me offer a definite yes here! I love the performance and general feel of the upper. But they are definitely a release that are not for everyone, and they are not a boot designed to last a season. Player Position: This one is tough to define. There is no one single player that they are geared towards. It is more a case of what you want from a boot and if you are ok with wearing something that doesn’t offer much in the way of protection. 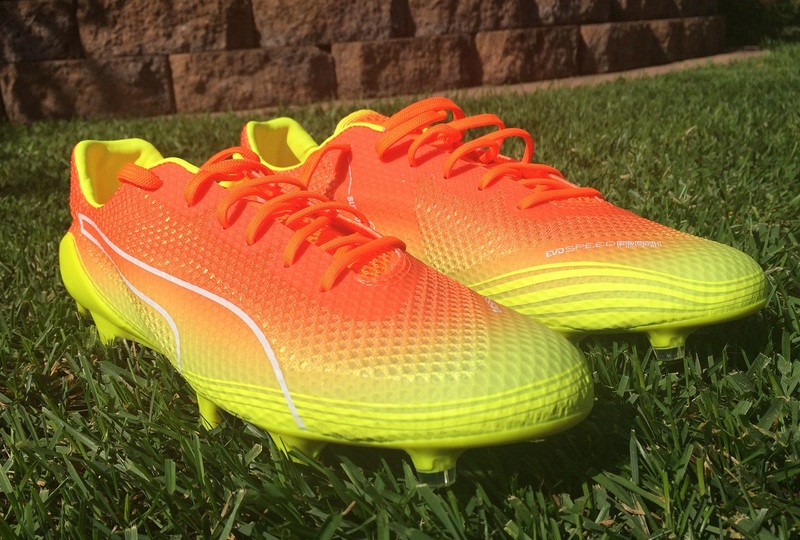 Like every other Puma Evospeed SL, will these last more than 10 games? On FG, I'd expect you'll get a solid half season out of them. They don't feature the 10 game warning tag. But, honestly, anything that weights in at around the 4-5oz mark is a gamble! They are designed for immediate performance rather than long term.